We are a community of tournament, club and avid home players of the SCRABBLE® Brand Crossword Game. We foster an atmosphere for people of all skill levels to play their favorite game, improve their abilities and above all, meet people who share a similar love of the game. Membership in NASPA is required to play in NASPA-sponsored tournaments. At Cross-Tables you’ll find listings of upcoming tournaments across North America, results of recent tournaments, statistics for players with a NASPA rating, and some cool study tools. The best online resource for Scrabble players. 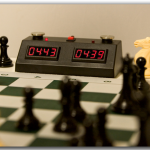 Digital Game Technology makes clocks and other equipment for chess players, but their clocks are also appropriate for Scrabble. Get a top-notch timer and custom-made board from Gene Tyszka. Clocks for chess are the primary thing sold at ZmartFun, but the clocks sold at that site can now be modified for use in formalized Scrabble competition and they’re much cheaper than similar ones. The number-one source for tournament Scrabble tiles. They come in a wide variety of colors. 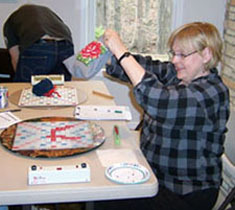 Check out The Nervous Rack for Daiva’s witty and insightful posts about her life in Scrabble.